Chocolate chip cookies are my weakness. It’s not one of those indulgences where if I get my fill once in a while, I’m satisfied – it’s one of those “if-there’s-a-chocolate-chip-cookie-around-I-will-eat-it” weakness. Especially warm, gooey, freshly made chocolate chip cookies with caramel ice cream on top. I’m sitting on my couch salivating just thinking about it. And during the holidays, cookies and chocolate abound; although I’m surprised that this holiday I haven’t received any chocolate chip cookies among the many varieties that have ended up at my doorstep. Which is why, as I was thinking about (and craving) some cookies tonight, I decided to post this recipe for secretly healthy chocolate chip cookies. Why are these somewhat healthy, even though they are cookies? 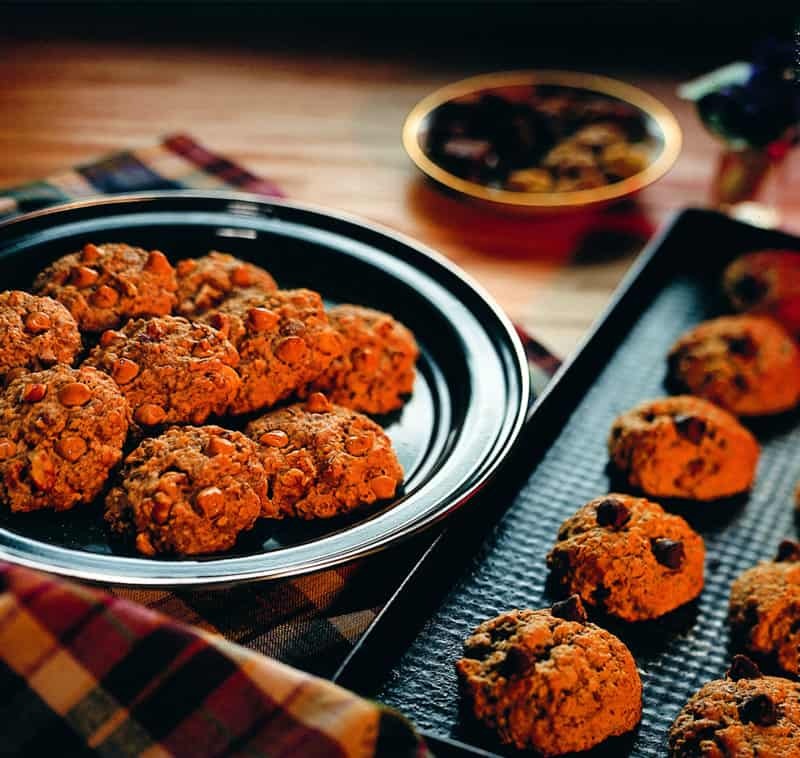 Because they have an added punch of protein and fiber, with the addition of lentil flour into the cookies! Keep in mind, they still have plenty of butter and sugar, so it’s not like they’re super healthy or lacking in that ooey-gooey chocolate chip cookie essence, but they do have a bit more nutrition to make it slightly less of a guilty pleasure. 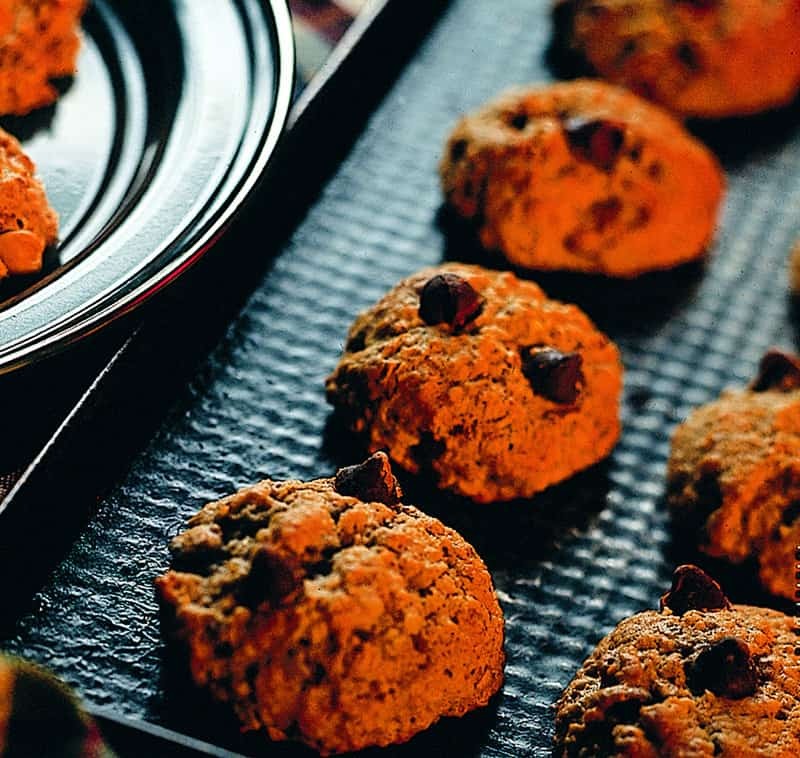 This recipe comes courtesy of the USA Dry Pea and Lentil Council, who contacted me with the idea of adding lentil flour into cookie dough to amp up the protein & fiber in traditional cookie recipes. I thought it was brilliant – since you won’t be able to taste the lentil flour, but you do get the nutritional benefits by sneaking it into this recipe! Hope you enjoy these cookies as much as I did – and now I’m off to the kitchen to warm up a cookie and pour myself a big glass of milk! Why are these somewhat healthy, even though they are cookies? 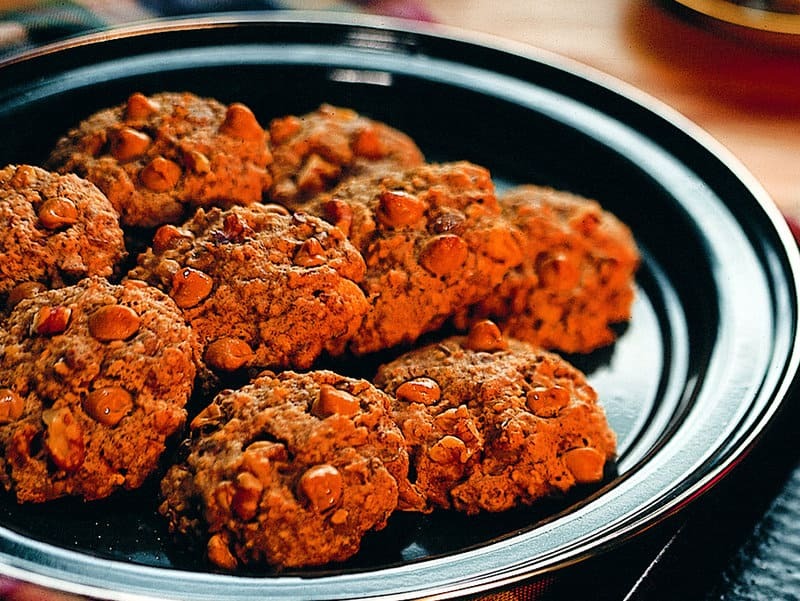 Because they have an added punch of protein and fiber, with the addition of lentil flour into the cookies! 1 3/4 cups chocolate chips you can change this up and add peanut butter or butterscotch chips if you like! 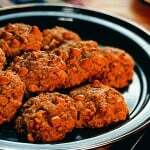 Hi Anjali, I found your recipe whilst looking for cookies using lentil flour! It sounds good 🙂 Have you tried substituting the butter with any oils? I might try a small batch with sunflower oil or colza and also with butter to see the difference. Would like to know your opinion..
Hi Avril! I haven’t tried substituting any oils for the butter, but I have made these cookies using half the amount of butter, and then 1/4 cup full fat plain Greek yogurt, and that turns out great! Hope that helps, and I hope you love these cookies! These look delicious! Where do I get lentil flour? I looked for it in the bulk bins at whole foods but was unable to find it. Thanks! You can get it at any Indian store – it’s usually called something like “urad dal flour” – or you can buy it online like on this website – but I’m sure there are plenty of other online options too! Hope that helps! Thanks! Just stopped by your blog and joined the link party 🙂 Thanks for including me! Your cookies look so lovely, yummy. I also very much like your beautiful photos. These look fabulous! Wish I could stop over for some! We should be out to Cali in April so I would love to get together then! Happy New Year! Lentil flour huh? I am intrigued! I know! I was surprised it worked so well too. Hope you enjoy it! I’ve got some lentil flour in my pantry, but hadn’t thought about using it in cookies. Such an interesting idea – will have to try it next time I make cookies. Yeah I thought it was a really cool use for lentil flour too! Let me know how you like it!